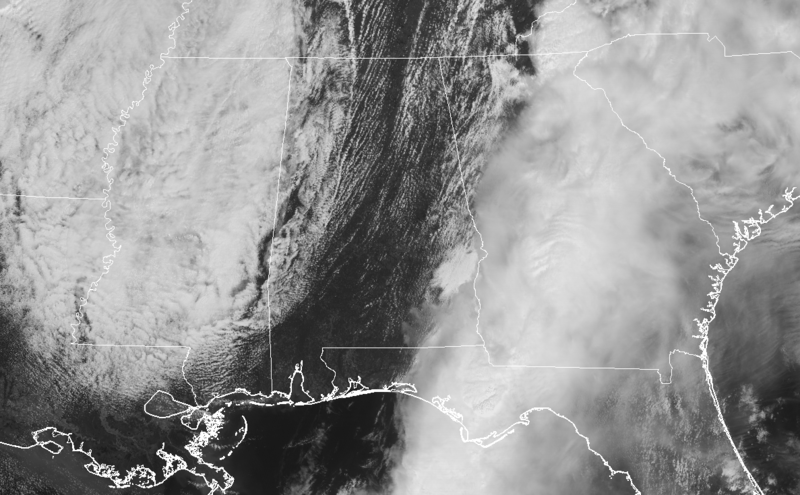 At midday on this Sunday afternoon, we have a good bit of clear skies across Central Alabama, but clouds are starting to move back in from the west and skies will become mostly cloudy later this afternoon and into the evening. Temperatures at this point are in the lower 60s to the lower 80s across the area from northwest to southeast. Haleyville was the cool spot at 61 degrees while the warm spot was Montgomery at 82 degrees. Birmingham was at 73. Winds are currently strong across Central Alabama averaging 10-25 MPH out of the southwest, but gusts up to 30-40 MPH will be possible at times. A Wind Advisory is in effect for all of Central Alabama until 9:00 pm tonight. There may be a few showers form along the cold front as it moves through this afternoon, but chances are very small. Skies will become mostly cloudy and highs will reach the upper 60s to the lower 80s. Skies will begin to clear out tonight and overnight lows will drop down into the upper 30s to the mid-40s. Monday looks to be a simply beautiful day. It will start off chilly in the morning but we’ll rebound nicely with afternoon highs reaching the upper 60s to the lower 70s across the area. Clear skies can be expected on Monday night but lows will be chilly once again, down into the 40s. We have enjoyed over 6.6 MILLION page views on AlabamaWx.com so far in 2019! Don’t miss out! We can customize a creative, flexible and affordable package that will suit your organization’s needs. Contact Bill Murray at (205) 687-0782.